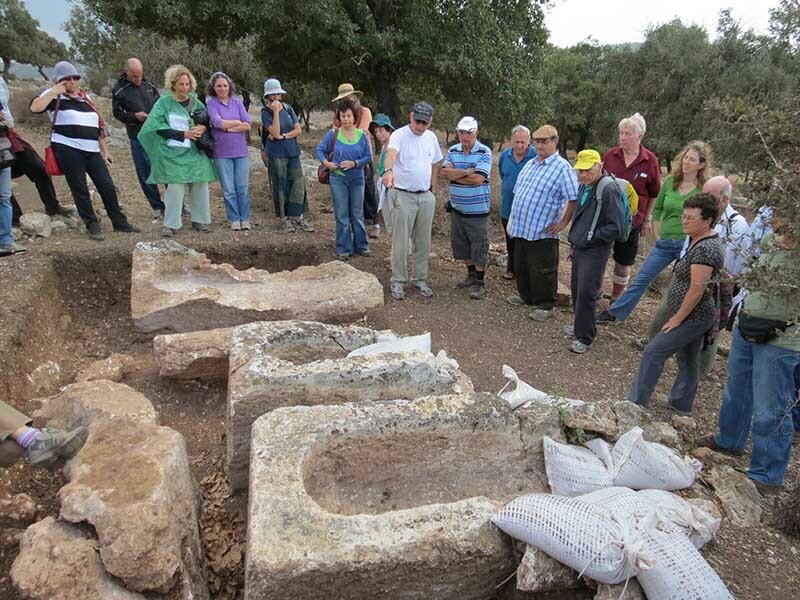 As luck would have it, I participated on Friday October 18, 2013 in a WORLD QUALITY tour of the Excavations at Shikhin, lead by Dr. Moti Aviam, Director of the “Institute for Galilean Archaeology” at the Kinneret Academic College, Israel. The tour was organized by Dugrinet which is part of the Galilee Foundation for Value Education. I recommend following both Dr. Aviam and Dugrinet. An archeological survey of Shikhin began in 2011. 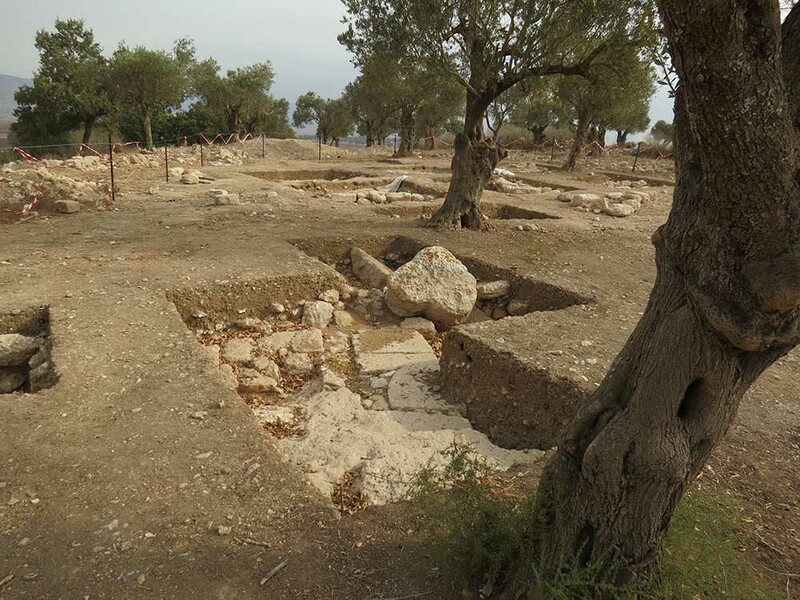 The Excavations at Shikhin is a multi-disciplinary, multi-institutional, international, cultural heritage project whose goal is the recovery and preservation of the site of Shikhin in the Lower Galilee of Israel. In 2012, excavation got underway. Samford University is the primary sponsoring institution. Professor James Riley Strange of Samford University, USA, serves as Director. Associate Directors are Professor Mordechai Aviam of Kinneret College and the Institute of Galilean Archaeology, Israel, and Professor David Fiensy of Kentucky Christian University, USA. 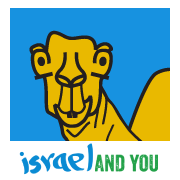 The archaeology is done by volunteers from all over, many of them students from Samford University, Centre College, University of South Florida, and Kinneret College. No experience is necessary in order to participate. Shikhin was a central Galilean village about 5 miles (8.0 km) northwest of Nazareth in the central Galilee near Sepphoris that was abandoned in the fourth century AD. As of May 2012, the site is under excavation. 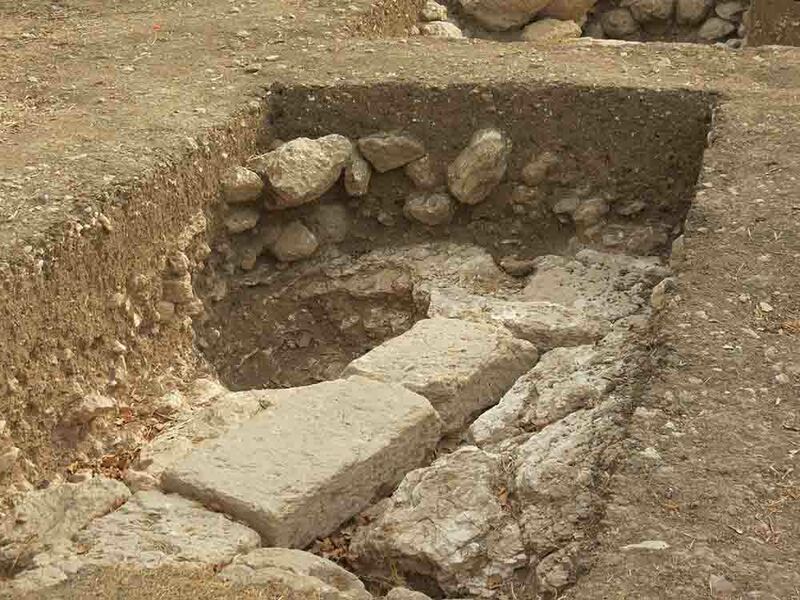 So far, evidence of extensive pottery work and a synagogue have been uncovered. Shikhin is located within Zippori National Park. First-century historian Josephus refers to Shikhin as Asochis. He described the village as one of the first Jewish settlements formed in Galilee. He dated it to the Hasmonaean Dynasty (140-63 BC). The Talmud describes the village as being home to many potters. The village was abandoned in the fourth century AD when the buildings were dismantled and the stones reused elsewhere. An ossuary is a chest, building, well, or site made to serve as the final resting place of human skeletal remains. Both plain and decorated ossuaries have be found in the Jabel Qat cemetery of Shikhin. The ancient village of Shikhin perched on a low knoll in the lush hills and broad valleys of the Tuscany of Israel: the Lower Galilee. Travelers on the Roman highway that linked Acco/Ptolemais on the Mediterranean coast with Tiberias on the Sea of Galilee could turn south to the city of Sepphoris, gleaming atop its own hill. Just before reaching the city, they would cross the foot of Shikhin and could take the opportunity to refresh themselves before completing their journey. Sepphoris and Shikhin had similar beginnings as new Jewish settlements in the Perisan period, and the population of both grew in the Hellenistic period. The fates of the two diverged, however, when some time in the early second century BCE Ptolemy Lathyrus successfully attacked Shikhin on a Sabbath but was fended off by Sepphoris’ militia. This suggests that Sepphoris was already fortified. Gabinius, the Roman proconsul of Syria, located one of the Sanhedrins at Sepphoris in around 57 BCE, and Sepphoris would receive further prestige when Herod made it his northern headquarters in 39/38 BCE. Shikhin did not join the city in revolt at the death of Herod, and so the village was probably spared when the Romans destroyed Sepphoris in 4 BCE and sold its inhabitants into slavery. Afterwards, Antipas, one of Herod’s sons, made Sepphoris his capital city: “the ornament of all Galilee,” according to the historian Josephus (he called the village Asochis). It was at Sepphoris that Rabbi Judah “the Prince” completed the compilation of the Mishnah in the first decade of the third century CE. That text would become the basis for Judaism’s two great Talmuds. The hill of Sepphoris supported continuous settlement up to the present day, while Shikhin’s population declined and eventually abandoned its hilltop in the seventh century, never to resettle it. Yet Shikhin managed to distinguish itself on its own terms. Its potters gained a reputation for throwing vessels that were not likely to break. Consequently, throughout the Roman periods Shikhin probably became a supplier of bowls, cooking pots, storage jars, jugs, and oil lamps for many towns in the Galilee, perhaps even Sepphoris. Shikhin was ideally situated to distribute its wares because of its location near the highway. The village also gained some wealthy and influential residents. Several rabbinic sources recount a story of firemen at Sepphoris rushing to put out a conflagration at the house of Joseph Ben Simai, a “government official” who lived at Shikhin. The story suggests a close connection between the populations of the two towns, and that city officials thought it was important to protect the villagers—or at least this particular villager—from fire. Because Shikhin sat a scant mile from Sepphoris (around a 20-minute walk), and over the same Roman highway that the city oversaw, the site stands to teach us much about Galilean village life in relation to the city. What we learn about Shikhin will have important implications for the beginnings of Christianity and Formative Judaism, for this Galilee formed the world of Jesus’ ministry and the Sages who compiled the Mishnah. Our two primary research questions are about pottery production and economy, and they have implications for broader questions about categories such as “Judaism”–“Hellenism” and “village/countryside”–“city”. The first question is, “Where did Shikhin distribute its pottery?” After one season of excavating we can show that Shikhin’s potters were producing most known Galilean forms, including lamps, and that they were doing so in great quantities. 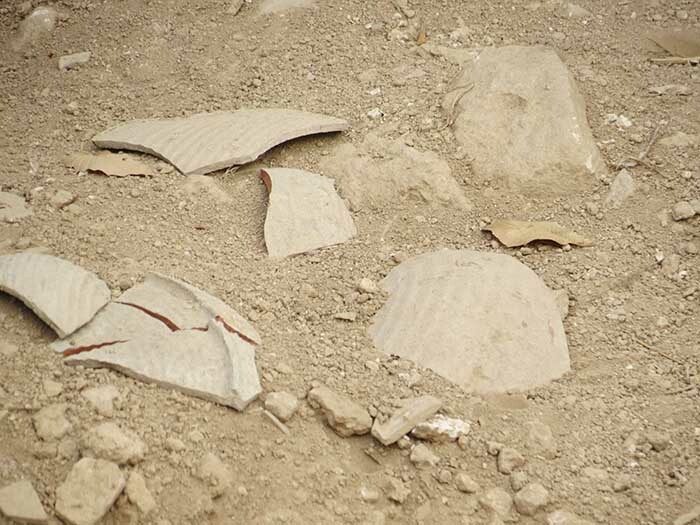 The volume of waste sherds found—broken bits of pots and lamps that failed in production—suggests that Shikhin’s kilns were putting out far more than could be used by the villagers, which in turn suggests that pottery manufacturing was one of the village’s export goods. The question of which Galilean villages were pottery manufacturing centers, and to whom they distributed their wares, is critical for understanding the Galilean economy. The second question is, “Did Shikhin participate with other Galilean Jewish villages in an economy that bypassed the city markets of Sepphoris and Tiberias, or that existed alongside them?” Recent excavations at other Galilean village sites have been discovering that Hasmonean coins minted in the Hellenistic periods remained in use into the Roman periods. At the same time, in some of these villages, no city coins of Sepphoris (which was granted authority to mint its own coins) have turned up. These two pieces of evidence suggests that some villages resisted to the city’s economy and established an alternative economic system that kept ancient Jewish coins in use. At Shikhin, we want to know if we will discover the same pattern.